Ever since my oldest daughter saw “Super Size Me” in her seventh grade health class, we have only viewed the golden arches from afar. Which is fine with me. I’ve always felt there was something self-destructive about eating at places like McDonald’s. 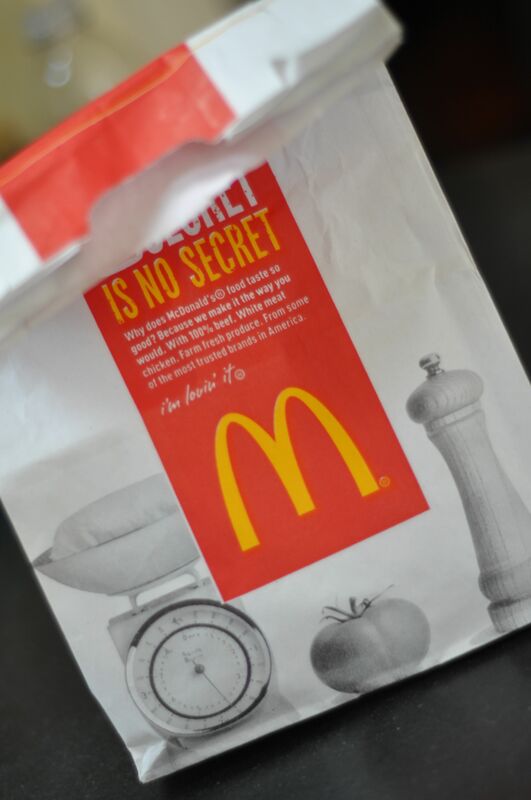 Yes, it’s fattening, but I kind of enjoyed those first bites of salty fries and burgers slathered in sauce. It was the hours after that pained me, literally. 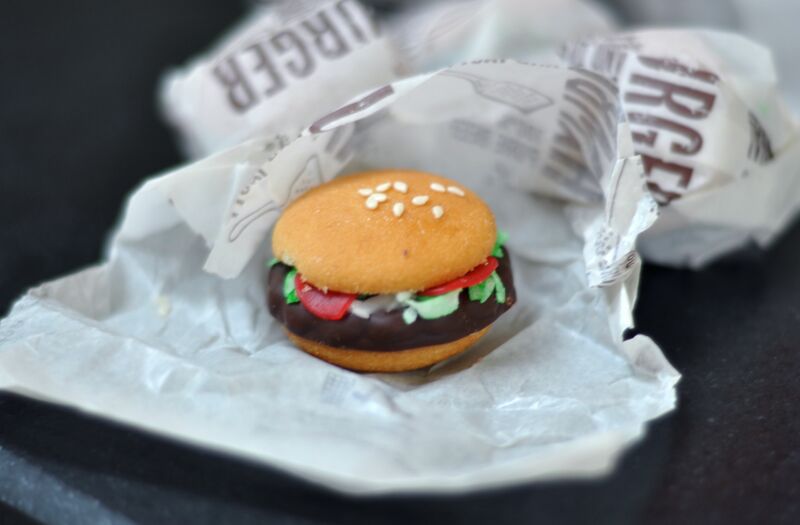 My kids thought these American Girl-sized “burgers” were delightful to look at, but when they discovered that cookies and candy comprised the burgers, there were only wrappers remaining. Being a craft-challenged type of person, I can’t express how impressed I was with my neighbor’s fortitude. Frankly, just the thought of lining up dozens (did I mention these were for school classrooms?) of Nilla wafers and flattening sticky roll-ups elevates my blood pressure. It appears from the photo below that her diligence also won over the admiration of her boys. And that’s what counts. 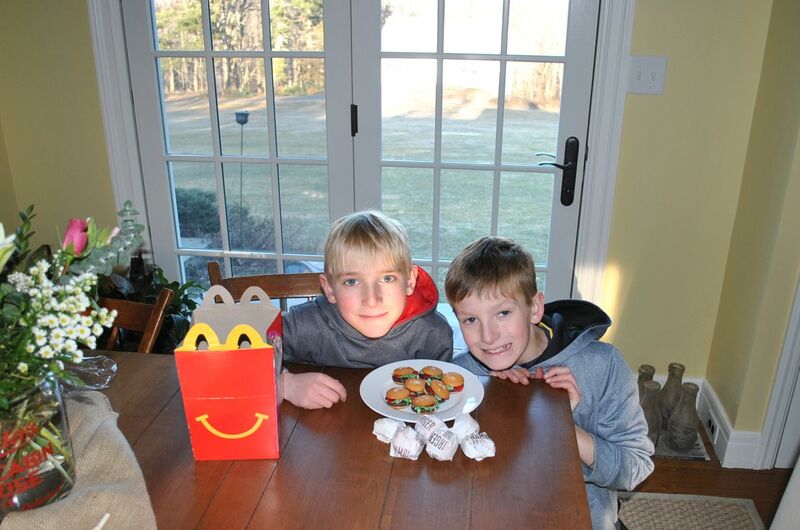 Count out vanilla cookies (two for each Big Mac). Mix 3 Tbsp. of confectioner’s sugar with a little water to make a glaze consistency. Brush the top side of half of the vanilla cookies with a little glaze (working with 10 at a time). Sprinkle a few sesame seeds on the glaze to make the top of the bun. In a small container (with a lid), add a few drops food coloring to the coconut. Close container tightly and shake until the coconut is uniformly colored to make the lettuce. Mix 1 cup of confectioner’s sugars with the softened butter, the vanilla, and enough milk to make a smooth frosting. Spread on the remaining plain vanilla cookies, working with ten at a time. 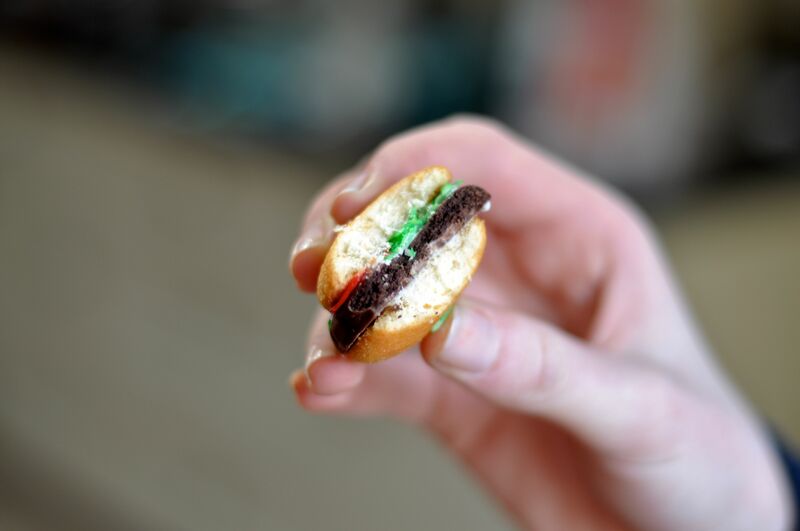 Place a grasshopper cookie on top of the frosting to form the burger on the bottom bun. Spread a bit of frosting on each hamburger, again working about ten at a time. Sprinkle some green coconut (lettuce) on the frosted grasshopper. Gently press three tomatoes onto the lettuce, letting them hang off the edge. Add a bit of frosting to the underside of each sesame-topped bun and glue to the lettuce- and tomato-topped burgers. To make these even more fun, wrap in McDonald’s hamburger paper. 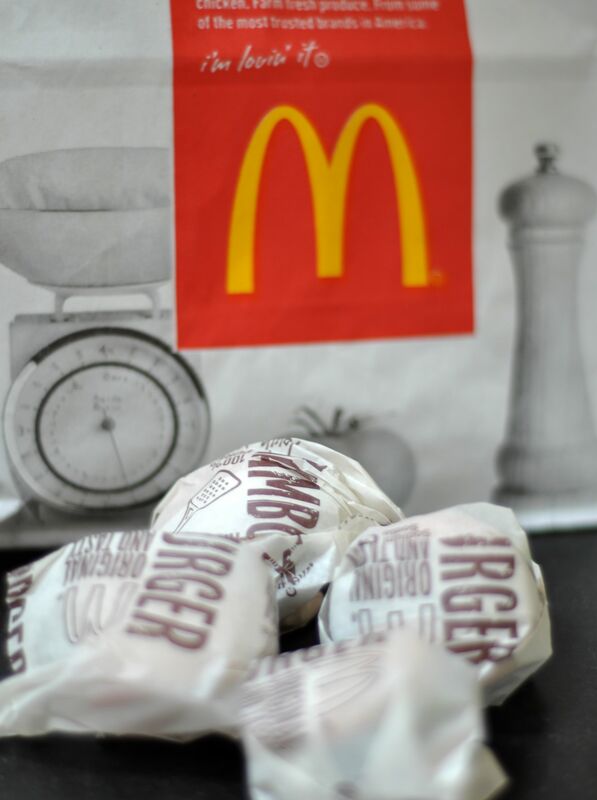 Cut each paper into four pieces to wrap the burger cookies. If that is William, I have been away for TOO long! Not William. The boys are neighbors, although William wishes they lived here!